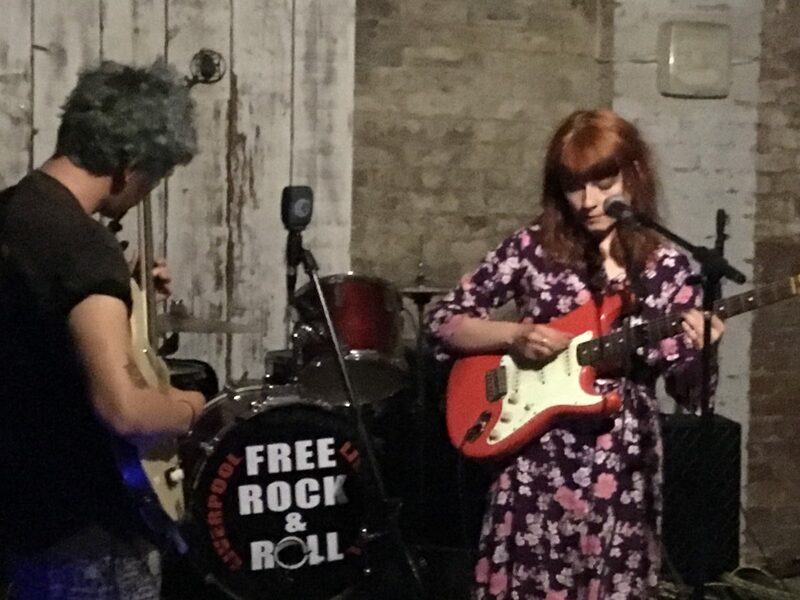 PALE RIDER are the latest must-see proposition on Liverpool’s new music conveyor belt, Getintothis’ Peter Guy reflects on a new band worth serious consideration. Twenty years ago this summer two albums were released which changed music forever. They changed the way UK rock music was looked upon and didn’t just cement over the cracks of a crumbling Britpop landscape but built a cataclysmic fortress so impregnable to criticism Genghis Khan‘s warlords wouldn’t have got a look in. They made the fringes of Britpop look feeble and alongside Radiohead‘s OK Computer form a triumvirate of albums providing the steely backbone of the musical era; still serving today as a reminder to any naysayers that this was a time of throwaway releases and guitar fodder for the masses. A year later this writer would head off to university still contemplating which was the better – the grandiose rock and roll lunacy of The Verve‘s Urban Hymns or the meditative neo-gospel heart-breaker of Spiritualized‘s Ladies And Gentlemen We Are Floating In Space. The truth is, at the time, if pushed we’d have always swayed to the former. As time’s gone on, we’re firmly with the latter. What the two records share is an indelible quest for answers to all of life’s simple mysteries – love, loss, space, time, life, death and everything in between – all channeled through two pained voices and a team of musicians seemingly hell bent on shaking your very being through the power of sound. Pink Floyd were one of the first bands to impress upon us who used instruments to imbue feeling and inner truth without the need for words or lyrics. Thirty years later, The Verve‘s Nick McCabe and Spritualized‘s myriad of players under the orchestration of main man Jason Pierce were two contemporary bands repeating the trick to quite stunning effect. Push forward another 20 years, and here in Liverpool are a band who are expertly following suit. While it’s an unfair and frankly ridiculous comparison to talk about seismic rock bands which to this day are still eulogised infinitum, however, on the two occasions we’ve watched Merseyside newcomers PALE RIDER play live, Getintothis can’t help but recall those summers of 1997-98 when those two classic albums were on constant rotation. 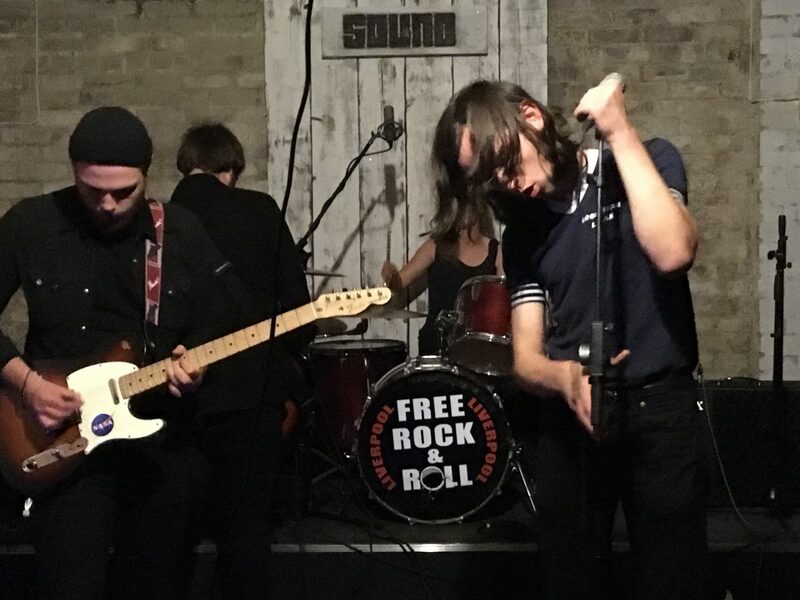 The Liverpool four piece only started life as a genuine thing back in late 2016. Yet such was their early promise a New York based friend and writer was quick to sound them out across the pond when we asked who were Liverpool’s new ones to watch earlier this year. Having teamed up with Liverpool-based videography team Freakbeat Productions on their opening demo – the schizophrenic Sidecar/Circling; a kinda post-rock stomp which only reveals it’s beastly self during the second half (and should merely serve as a glint of the potential of the band’s innate magik) – we were intrigued enough to book them for June’s Deep Cuts, a colossal display and we find ourselves in the open-bricked dungeon of Liverpool’s Duke Street bar Sound for PALE RIDER‘s inaugural band night – Swim Into The Mouth. Here, despite initial nerves, they’re even better. The chemistry is thick, infectious even. Like a billowing hurricane for 35 minutes we’re in the eye of their storm. Vocalist Ben Russell casts a sexual magnetism as he trades rhythm guitar for simple mic duties, Louis Dutton builds dense bass structures amid a gleeful Sophie Thompson‘s ever-louder percussive crashes and Fran Codman can’t help but recall a young Stuart Braithwaite as his ferocious intensity on lead guitar swaps ingenuity and craft with pure primal fret-ruining pummels. Codman is so lost in his band’s beautiful chaos he barely realises when he’s crashed his instrument to the floor. Psychosis. We’re all drowning. The cherry on top arrived earlier in proceedings with the earlier musical hors d’oeuvres – Man Doll a blissful sketchbook of kaleidoscopic barely-there Beach House lullabies and Oh Well, Goodbye who’s delicate sound of thunder throws complex math-rock into a pot bubbling with melodic pop and vicious post-punk. The former are a work in progress we’d be keen to catch again, the latter were so good we’ve booked them for our August 3 Deep Cuts Live at Buyers Club. All of which means, PALE RIDER don’t just play well, they listen too. So far, so many superlatives. All’s we can add, is PALE RIDER conjure up many things. Those two special records we alluded to earlier. And closer to home, they recall the first time we saw Outfit perform Two Islands. The first time we heard VEYU play Running. Or more recently, the first time we heard The Mysterines‘ demo of Sticky. 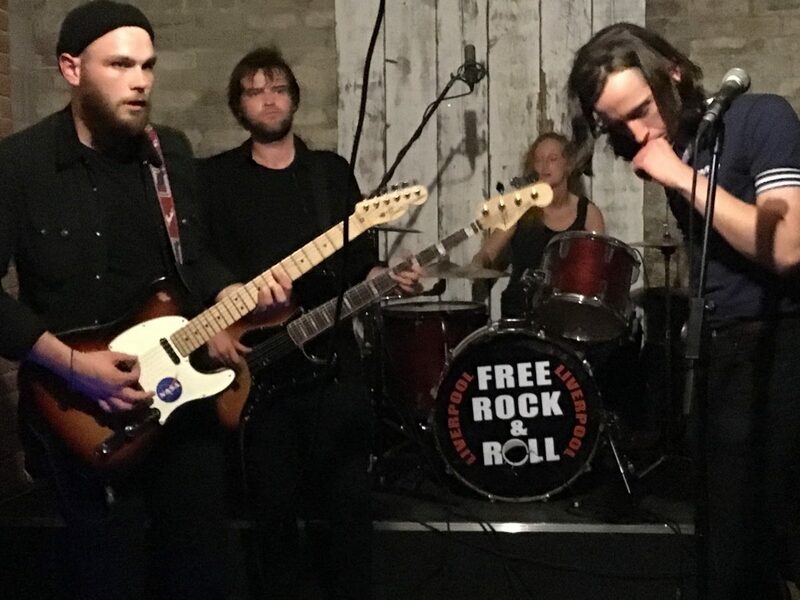 There’s a heaving cauldron of very, very strong Liverpool live bands – PALE RIDER have the potential to eclipse them all.